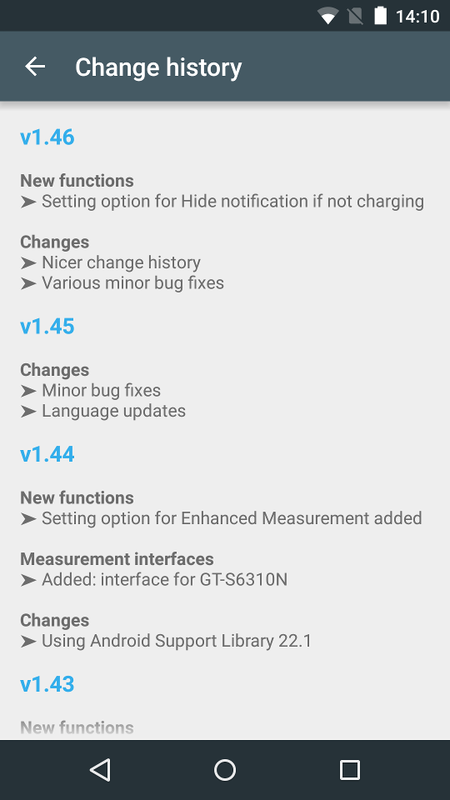 Ampere v1.46 has been published on Google Play. 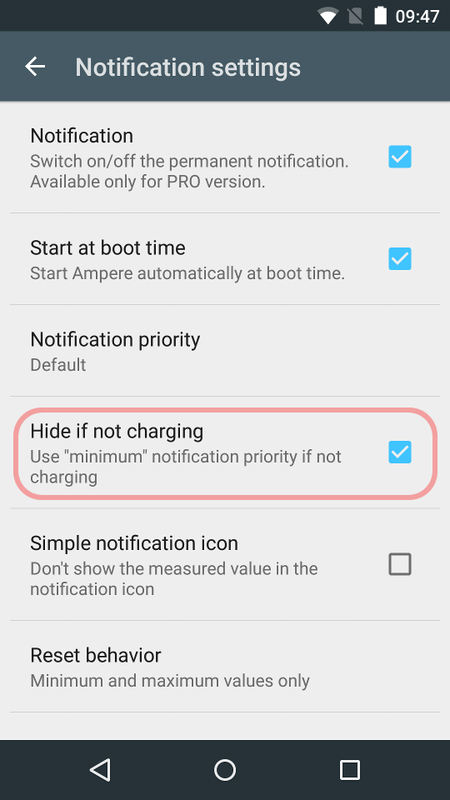 New: Setting option for "Hide notification if not charging"
To hide the notification icon when the device is not charging was an often requested feature. With the new "Hide if not charging" option it is possible in Ampere v1.46 and later versions. If this new option is switched on and the device goes in a state others than "Charging", then Ampere changes the priority of the notification to minimum priority. In this way, the notification icon is not visible any more on the notification bar if not charging, but the notification is still there if you open the notification area.